Favourite makeup brushes & new additions! I've said this before, but it can't be just me who collects makeup brushes like they're going out of fashion! Or that they buy more brushes so they don't have to wash the ones they have... No, I bet everyone does that eh! Recently I've been getting a lot of questions on Snapchat (LovelyGirlyBits) about what brushes I use and would recommend. So I thought a video was in order because as you'll see, I love a lot of brushes. 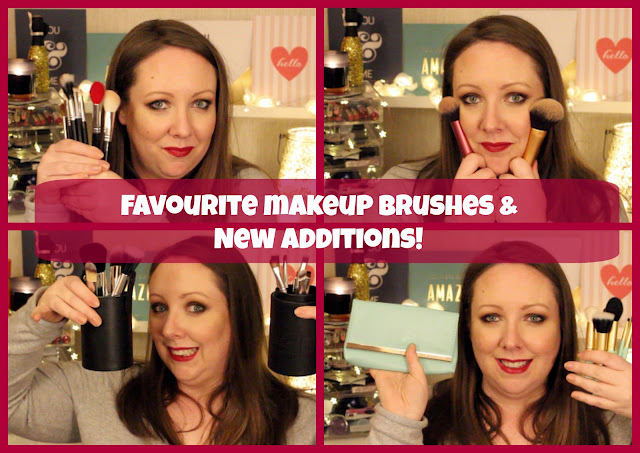 I wanted to highlight my favourite brands, brushes and then show you some new sets that are out on the market now. I've got a mix of brush sets, individual brushes and range in price from €2.50 for a gorge malorge Penneys brush up to €55 for the equally gorge malorge Nima Brush set. I am a woman obsessed with these and if you're looking to buy a beauty related present for a friend, but don't want to buy makeup, then brushes are the way to go! What to buy with your No7 vouchers! Lovely Girlie Bits' must do list for New York! Our clothing, beauty and homeware haul!